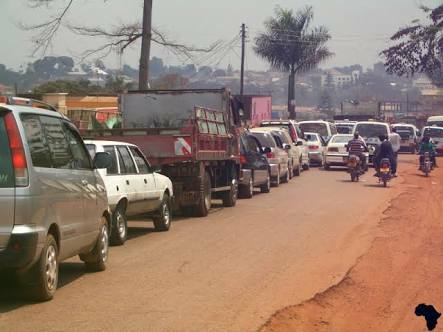 Narrow roads have been said to create traffic gridlocks in Kampala. Kampala Capital City Authority (KCCA) has embarked on the process of compensating those who will be affected during the reconstruction and widening of city roads. Gvernment recently received funds from the World Bank to work on the city roads as well as improving junctions. Some of the selected city roads which will be worked on include Nakawa- Ntinda Road, Kabuusu- Bunamwaya-Lweza Road, John Babiha Road/Acacia Avenue, Kullambiro Ring Road and Lukuli Road. Harriet Mudondo, KCCA’s director for gender and Community services, whose docket is handling the compensation process said there are already ongoing discussions between the authority and the leadership of Wakiso district on the different modes of compensation. Kabuusu-Bunamwaya-Lweza road is shared between Kampala city and Wakiso district. Officials at City Hall remained tight lipped on when the road works will kick off. In July 2016, the city legislators instructed KCCA technical staff led by the executive director Jennifer Musisi to first compensate the affected individuals before working on the roads. Ibrahim Kasozi , the Makindye East legislator and Kato Lubwama, the Rubaga South MP told PML Daily this morning that if KCCA ignores compensating people, they will write to World Bank. “I am keenly following the matter. I have a list of people, who were short listed to be compensated. If KCCA doesn’t compensate them, I shall write to World Bank and also ask Parliament to intervene,” Kasozi warned. But Mudondo assured the affected persons that as required by the World Bank safe guard policy, they will be compensated. For transparency and accountability purposes, KCCA contracted an independent consultant to undertake a Resettlement Action Plan (RAP). Mudondo said the RAP was completed and it was prepared in accordance with Ugandan laws and policies related to land acquisition and resettlement. As a requirement by the World Bank Safeguards Policy, Mudondo revealed that the final RAP is being publically disclosed, to provide the project-affected persons and general public with information for their review and comment. Figures from the City Hall show that the city has approximately 2,110kms of roads, of which about 450km (38%) are paved and 750km (62%) are unpaved. A significant portion of the unpaved network carries heavy traffick with over 300 vehicles per day.